The stock hit record high of Rs 832, up 2.5% after the board approved share buyback at a price of Rs 950 per share through a tender offer. Shares of Tech Mahindra hit an all-time high of Rs 832 apiece, rising 2.5 per cent on the BSE in an otherwise subdued market after the company's board approved share buyback at a price of Rs 950 per share through a tender offer. The stock surpassed its previous high of Rs 824 recorded on February 8, 2019, in the intra-day trade. It, however, pared gains and closed 1.07 per cent higher at Rs 820 levels. In comparison, the S&P BSE Sensex moved up 0.4 per cent to close at 35,898 levels. 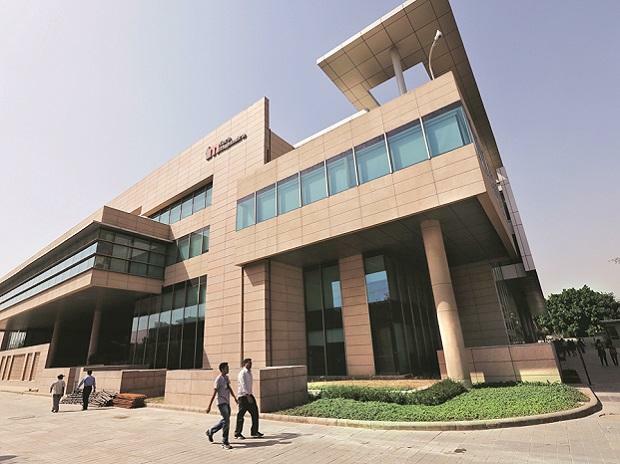 “The board of directors of the company at its meeting held on February 21, 2019, approved the proposal for buyback by the company of its own fully paid equity shares of Rs 5 each, not exceeding 20.58 million equity shares representing 2.1 per cent of total equity of the company,” Tech Mahindra said in a regulatory filing. The share buyback price fixed at Rs 950, for an aggregate amount not exceeding Rs 1,956 crore, from the shareholders of the company on a proportionate basis through the tender offer route, it added. Tech Mahindra has fixed Wednesday, 6th March 2019 as the record date for the purpose of ascertaining the eligibility of shareholders to participate in the buyback. Cash-laden Indian IT firms have been returning surplus cash on their books to shareholders by way of dividends and buybacks. Earlier this year, Infosys had announced a buyback offer of Rs 8,260 crore. Persistent Systems' board had also approved a buyback offer of up to Rs 225 crore in January this year.